Liquid Metal provides a highly pigmented metallic finish worn alone or bespoke shades can be created when mixing colours together. Apply by using fingers, an Eye Shadow Brush or a Blending Brush 1, depending on the desired finish. Enrapture: Paraffinum Liquidum (Mineral Oil), Paraffin, Candelilla Cera (Euphorbia Cerifera (Candelilla) Wax), Petrolatum, Tocopherol, Cera Carnauba (Copernicia Cerifera (Carnauba) Wax), Hexyl Laurate, Cera Alba (Beeswax), Cetyl Palmitate, Lanolin Alcohol, Propylene Glycol, Bht, Cetearyl Alcohol, Glyceryl Stearate, Ascorbyl Palmitate, Citric Acid, Parfum (Fragrance), Ci 77400 (Copper Powder), Silica Surge: Paraffinum Liquidum (Mineral Oil), Paraffin, Candelilla Cera (Euphorbia Cerifera (Candelilla) Wax), Petrolatum, Cera Carnauba (Copernicia Cerifera (Carnauba) Wax), Tocopherol, Hexyl Laurate, Cera Alba (Beeswax), Cetyl Palmitate, Lanolin Alcohol, Propylene Glycol, Bht, Cetearyl Alcohol, Glyceryl Stearate, Ascorbyl Palmitate, Citric Acid, Parfum (Fragrance), Ci 77000 (Aluminum Powder), Mica, Aluminum Hydroxide, Ci 77891 (Titanium Dioxide), Tin Oxide Electrum: Paraffinum Liquidum (Mineral Oil), Paraffin, Candelilla Cera (Euphorbia Cerifera (Candelilla) Wax), Petrolatum, Cera Carnauba (Copernicia Cerifera (Carnauba) Wax), Tocopherol, Hexyl Laurate, Cera Alba (Beeswax), Cetyl Palmitate, Lanolin Alcohol, Propylene Glycol, Bht, Cetearyl Alcohol, Glyceryl Stearate, Ascorbyl Palmitate, Citric Acid, Parfum (Fragrance), Ci 77400 (Bronze Powder), Silica Phenomena: Paraffinum Liquidum (Mineral Oil), Paraffin, Candelilla Cera (Euphorbia Cerifera (Candelilla) Wax), Petrolatum, Cera Carnauba (Copernicia Cerifera (Carnauba) Wax), Hexyl Laurate, Cera Alba (Beeswax), Tocopherol, Cetyl Palmitate, Lanolin Alcohol, Propylene Glycol, Bht, Cetearyl Alcohol, Glyceryl Stearate, Ascorbyl Palmitate, Citric Acid, Parfum (Fragrance), Ci 77000 (Aluminum Powder), Silica. 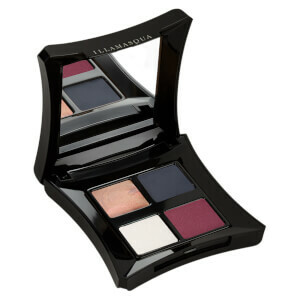 Very pigmented, gorgeous colours, creases very easily if not used with powder on top to set. 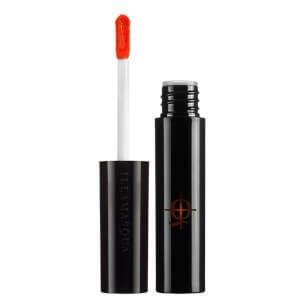 I have used this on three different photo shoots for eye work, amazing for fashion makeup and an instant look but lasts longer on the lips for a longer term look. Love this product and have used it daily for 5 years. 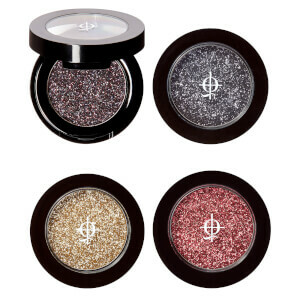 Fantastic colours but creases / wears off really quickly, even with a really good primer. Wish you still had individual palettes!!!!! I have used this product before which is why I ordered it again. Improved application with setting powder. Since reading the review by "makeup junkie" I gave this product another chance. I primed my eyes with Aloe Vera. Then applied translucent powder. I used Stealth eyeshadow as a base. Applied the product in Phenomena on my lids. Then applied Stealth eyeshadow all over lids to set the liquid metal along with Obsidian in the socket line. It was a very beautiful result. You defiantly need to apply a pale/matching eyeshadow over these to set them or they will crease/slide as said. Glad I tried again. Only a star off due to the inside casing as said before. this product is by far the best! These eye cremes look exactly like liquid and lasted over 6 hours on my eyes!